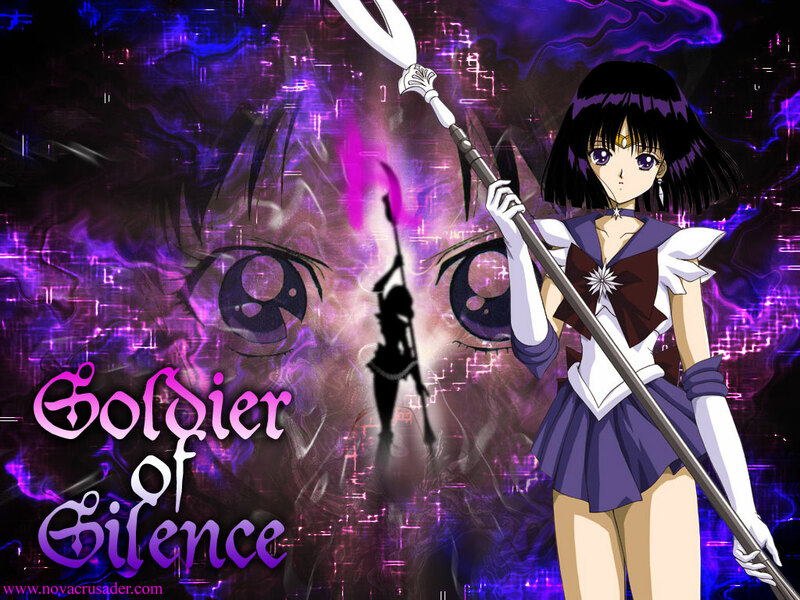 Sailor Saturn wallpaper, made with Adobe Photoshop 7. The picture of Sailor Saturn was drawn/colored by Ryutaro Hino. Thanks for revicing the good memories ya? Yes it is. Took a whee bit of time, too! If it is the text in the lower-left corner is causing any doubt, that is my actual website. Thanks for checking out the background, though, and I am glad it revived some good memories. nice wallpaper, full of everything, well actualy it's to full, the picture on the right side is bothereing, the fact that you could see trough her makes her not fiting in. Maybe if you would change that it would look beter. Amazing, such a simple little thing could improve the image so much. Thanks for your input, I always welcome a good critiquing! Again, a Saturn wp *_* Good work, I love Saturn, especially when she's fighting *_* cool wp!! I think having her eyes int he background is creepy. The rest of the background is really pretty though, and the picture in the foreground is nice. I think this wall is great -sighs in envy-, the eyes in the BG are brilliant, in fact I would really like to see the wall without the main picture of Sailor Saturn on the side. Once again nice job! Beatifull!! !, amazing, me encanto el fondo que kle pusiste como una nebulosa, hermoso!!! Beautiful. It's a really nice wall which brings out her personality and status as one of the outer senshi... and one of the most powerful at that. Oh man this one is awsome! Saturn looks cool in this one. Love the colors too. amzing contrast! I like it very much!